Τοποθετημένο στην υπέροχη περιοχή της Τζώρτζταουν, το Sim Citystay χαίρει μιας επιβλητικής θέσης στη εστιατόρια, πολιτισμικά αξιοθέατα, περιήγηση σε αξιοθέατα κεντρικό σημείο της Penang. Το κέντρο της πόλης είναι μόνο 5 km μακριά και μπορείτε να φτάσετε στο αεροδρόμιο μέσα σε 20 λεπτά. Από τη βολική της τοποθεσία, η ιδιοκτησία προσφέρει εύκολη πρόσβαση σε κορυφαίους προορισμούς της πόλης. Το Sim Citystay προσφέρει επίσης πολλές εγκαταστάσεις για να εμπλουτίσετε την διαμονή σας στη Penang. Οι πελάτες του ξενοδοχείου μπορούν να απολαύσουν υπέροχες δραστηριότητες όπως τα δωρεάν WiFi σε όλα τα δωμάτια, 24ωρη φύλαξη, φύλαξη αποσκευών, ασύρματη σύνδεση Wi-Fi σε δημόσιους χώρους, οικογενειακό δωμάτιο. Το Sim Citystay διαθέτει 17 δωμάτια. Όλα τους είναι διακοσμημένα με γούστο και πολλά από αυτά παρέχουν ανέσεις όπως λευκά είδη, καθρέφτης, πετσέτες, σύνδεση internet (ασύρματη), ασύρματη σύνδεση internet (δωρεάν). Εξάλλου, το ξενοδοχείο διοργανώνει πολλά ψυχαγωγικά δρώμενα έτσι ώστε να έχετε πολλά πράγματα να κάνετε κατά τη διαμονή σας. Ανακαλύψτε ένα ευχάριστο μείγμα επαγγελματικών υπηρεσιών και μια μεγάλη ποικιλία ιδιαίτερων χαρακτηριστικών στο Sim Citystay. Λόγω της φορολογικής νομοθεσίας, όλοι οι επισκέπτες υποχρεούνται να καταβάλουν την επιβάρυνση του δημοτικού φόρου, ο οποίος δεν συμπεριλαμβάνεται στο κόστος κράτησης της ιδιοκτησίας και συλλέγεται από την ιδιοκτησία κατά το check-in. Το check-in πραγματοποιείται μεταξύ 14:00 και 23:00. Οι αφίξεις εκτός των ωρών του check-in που αναφέρθηκαν παραπάνω δεν επιτρέπονται. Σε όλα τα δωμάτια της ιδιοκτησίας απαγορεύεται το κάπνισμα. Οι επισκέπτες φέρουν την ευθύνη για οποιαδήποτε δαπάνη, καταστροφή και υποχρέωση προκύπτει λόγω καπνίσματος. We had a bit of difficulty locating the hostel. Tips: look out for tyre shop called Sim Tyre Service. The building is right smack opposite of Lee Jetty. We stayed in the family room. Very clean very spacious. The bathroom is separated shower and toilet so you dont have to wait to use the toilet while someone is showering. Wifi was a bit wonky at times but not a big deal. Front office staff by the name of Sheila was really nice, she let us check in early since the room was vacant. Location is superb. It's very near to the famous art lane and restaurants. Also walking distance to the bus/ferry terminal. Penang is an island, you can walk everywhere. We did. I have to warn you that if you're staying here and thinking of bringing your elderly folks, you might need to reconsider because there is no elevator, you'll have to walk up the stairs to your room. Our room was on the 5th floor lol! hey free workout :-) We were happy with what we paid for at Sim CityStay. 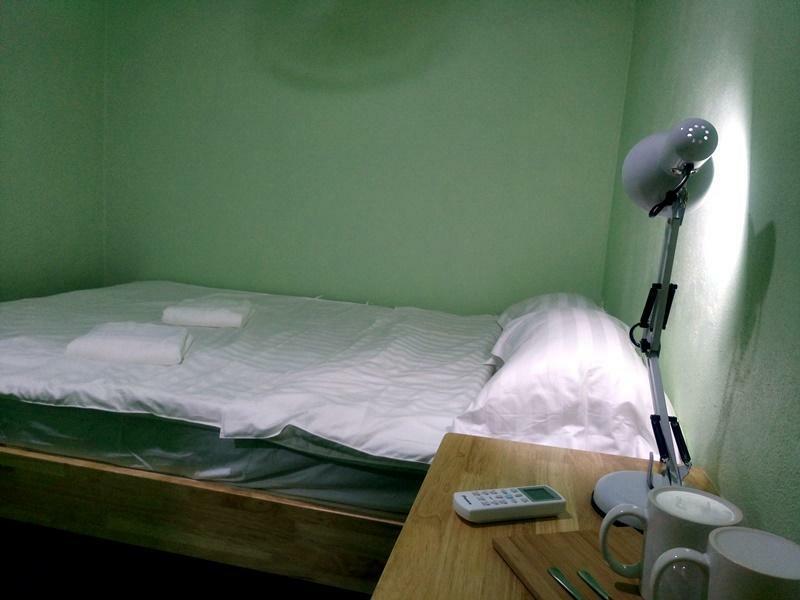 I stayed in a dormitory type big room. It was so clean and new. You can use air-conditioning as you like. I would strongly rcommend this facility. The room owner was so kind enough to accept the early check-in although I did not mention that I arrived there early morning taking an overnight bus from Johor Bahru, southern end of Malaysia. It is only a 10 minutes walk from the ferry terminal. So you can not miss the early bus from Butterworth. Exceptional ! 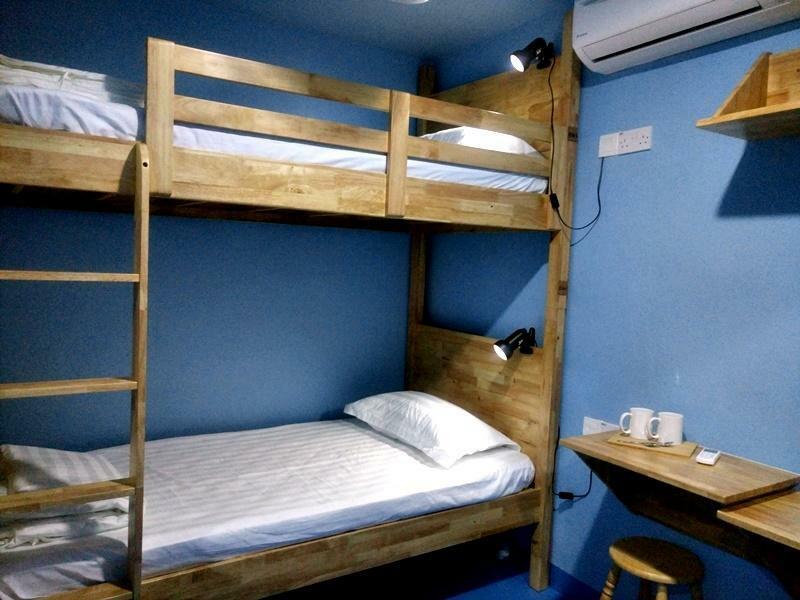 one of the best backpacker hostel i ever stay. 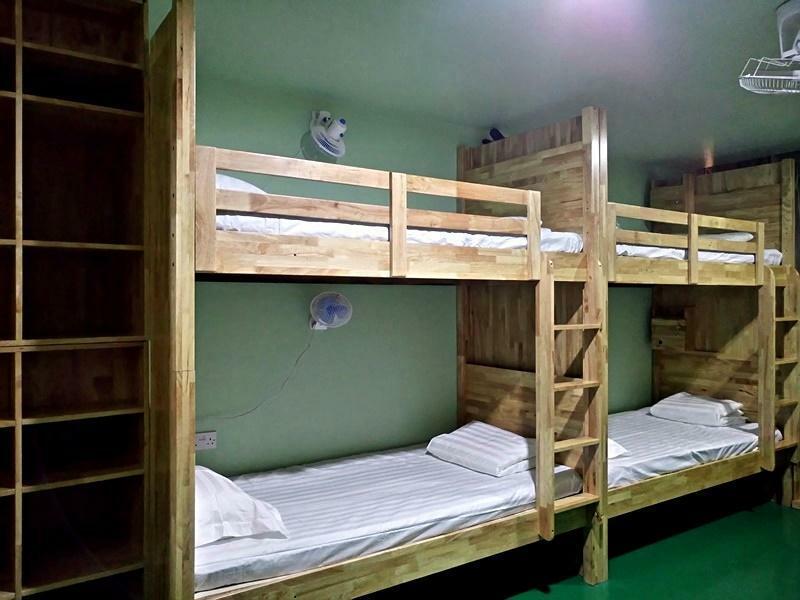 the room is clean and spacious for a very low price. place is near the famous nasi kandar and within walking distance to the bus station and also the several of the street art. recommended ! Bad spot very loud all night traffic and walking anywhere is a uncomfortable. 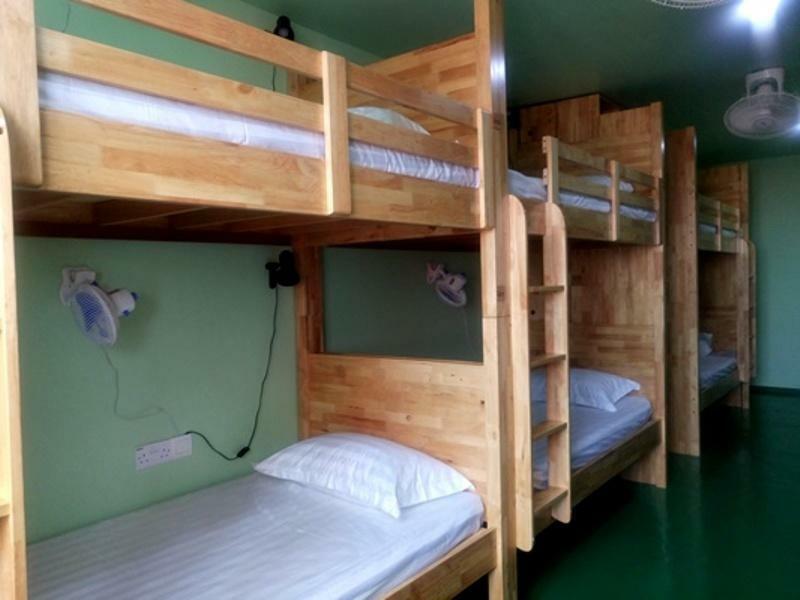 It is really good hotel with a suitable price. I will come back Penang and Sim Citystay soon. Thank you so much, Sim Citystay. The staff is very helpful. It is clean. The mattress is very comfortable. Hot and cold water on the floor. Amazing view from the rooftop. 7-10 min walk to bus/ferry station. You can see a view of sea on pulau pinang, the ferry moving, very near to jetty and strategic location. But very noisy at night. 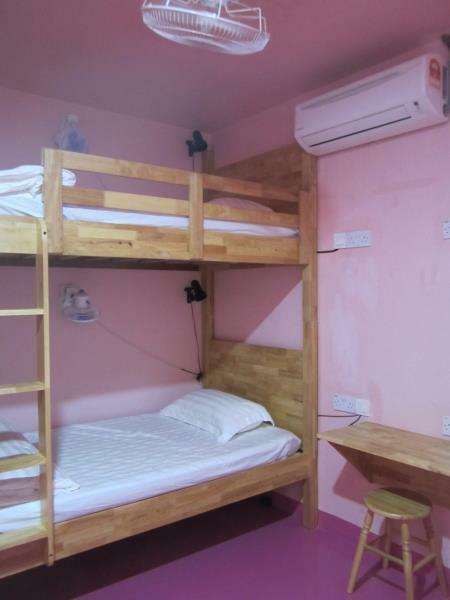 The room was nice enough, small but had decent sized bed, aircon and a good sized bathroom with a decent shower. The Wi-Fi was really good. The staircase up to the reception was steep, not ideal if you have a large bag to carry. The location is ok, walking distance to the centre but right on a main road. Could probably find somewhere just as good a bit more central. We were woken up twice by a member is staff playing on his phone really loudly in the central courtyard area where our room looked out which I wasn't very impressed by. This hotel is exactly locate in front of Lee's Jetty. Instead of finding Sim Citystay Signboard is easier for you looking for a sign of 60 in front of the building. You may park your car at the private parking nearby this hotel. Nearby attraction is just walking distance. Great Harbour view for the Family Room located at 4th Floor. No Lift. We came to the hotel at the late night, quick check in and helpful staff for the tourist information. 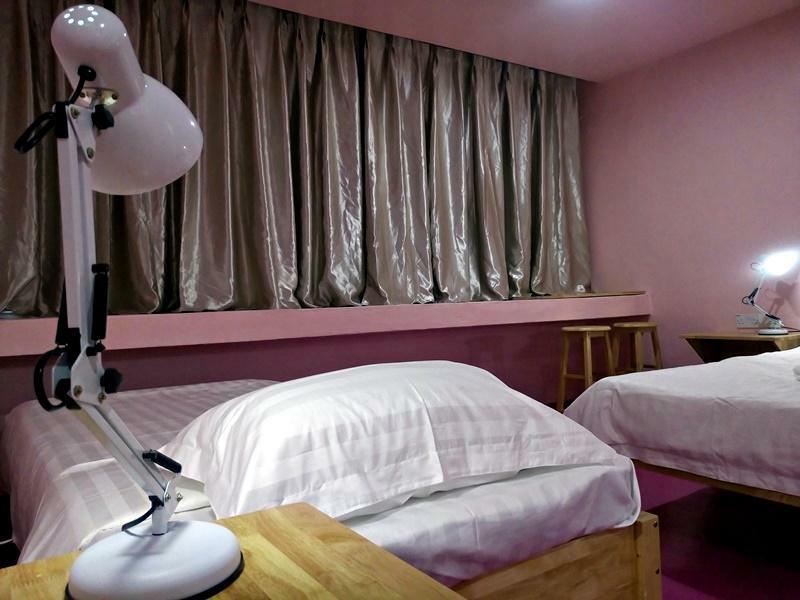 The hotel is located near the bus station and they offer free bus (CAT) around city, also the free walking tour with the tour guide. 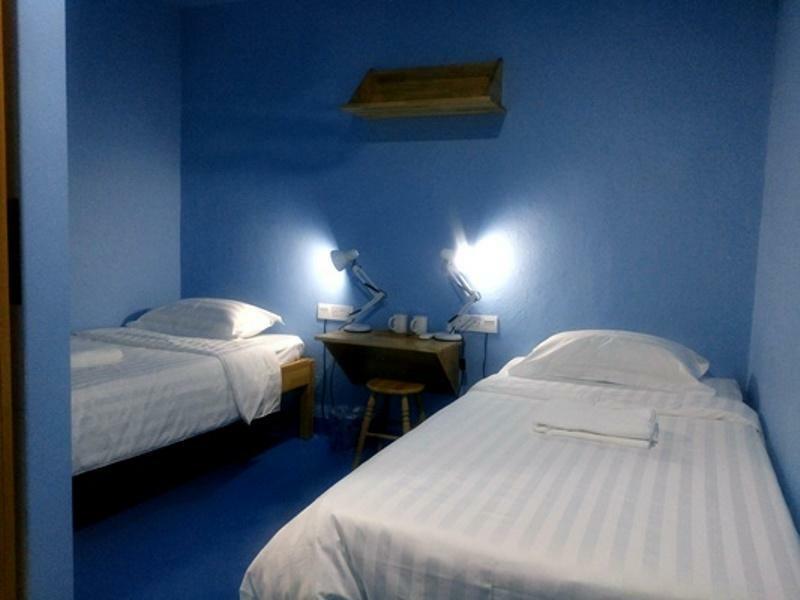 The room and sharing bathroom are very clean, they offer free hot and cold water so you can serve yourself. We satisfying with our room. P/s: for the local restaurant, we highly recommended a group of many street food "shop", they don't speak English but use your body language and that would be great experience. We got a very very very yummy local soups with fish ball. The price is cheap and same with the local people . That's unforgettable. Everything is clean and new. The locker design is good. Helpful staff. Just the wifi is a bit slow. 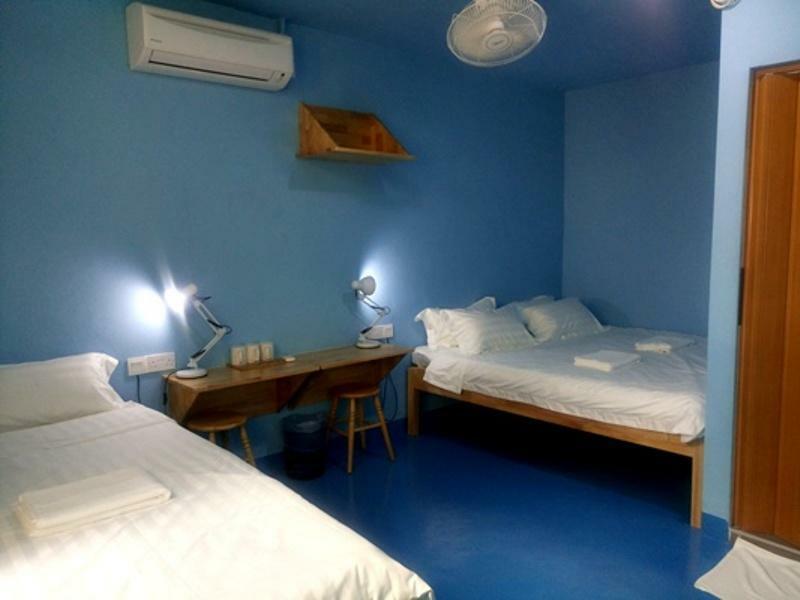 I have also stayed in another highly rated hostel with similar price in town, but i would highly recommend sim city more than another one. This is the same review i gave to trip advisor, they deserve amazing review because this hotel and the staffs are just amazingly wonderful. I'm a 21 year old girl came here with my boyfriend and 3 other friends. Went here with 4 of my friends. 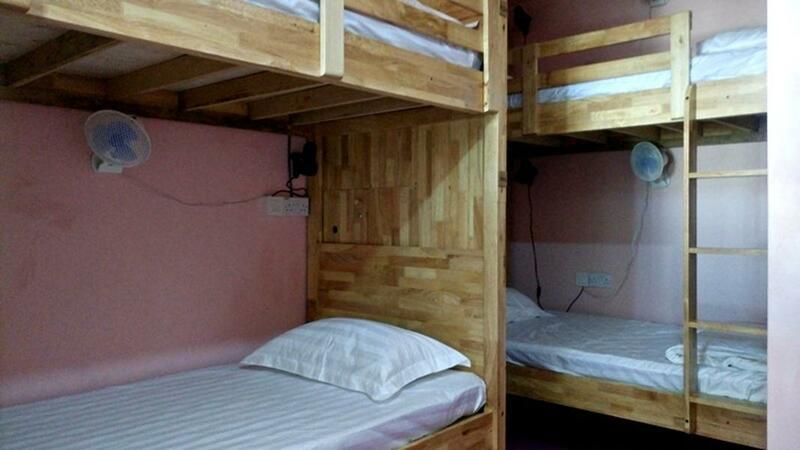 The cheap price come with nice bedroom. Suitable for those who dont have to transport but want to travel far around penang. Walking distance to the jetty terminal, you don't need any transport once near to the jetty. The jetty is the main bus terminal to go everywhere in Penang friendliest staffs ever. The genuine smile and everything, and very helpful. They even provide a room to keep your bag after your checkout time. As the hotel is only 5 minutes walking distance to jetty, we went everywhere starting from taking the bus from jetty. Penang public transport is reliable. And if you want to go back to the hotel, any bus can do because every bus seems to stop at the jetty as the final. The view is to die for. I will definitely come here again. Sim Citystay is located opposite of the Lee Jetty, above the Silverstone tyres shop. The front desk staff/boss were being very helpful and kind, quick check-in, and some info on the nearby good local food. The twin room was not too big and not too small either. It was just right for me and my friend. The room was new and clean. The free internet access was a big plus. Bathroom was clean. No lift access in the hotel. Overall we had a very pleasant stay in the Sim Citystay. I was bitten by the bed bugs & have to sleep on the floor to avoid further bitting! Street food within the vicinity. Walking distance to Penang ferry to Butterworth for long distance coach to inter states or to Thailand. Τερματικός Σταθμός Λεωφορείων Pengkalan Raja Tun Uda στα 0.57 χλμ.